Christianity Fails. . Wallpaper and background images in the Atheism club tagged: atheism atheist christianity funny fails god exists exits. How about the way every other book was written? It's people like this who end up undermining any existing theists that have brains. Dudes- She's an internet troll, posing as a Christian. Her Twitter name is ArdentAtheist, she "comes clean" in another one of her videos. 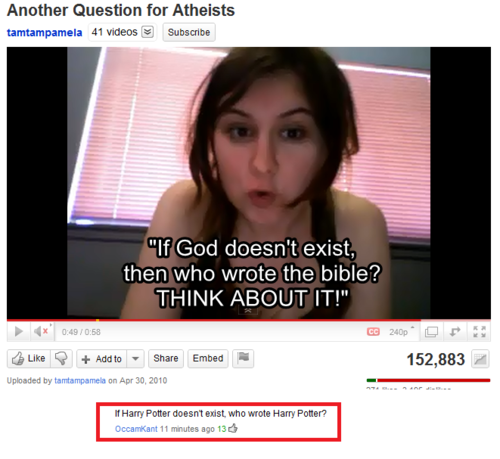 ^No matter what she is, it's still funny, especially the comment underneath it.